The DVR will automatically detect these settings and configure for best results once you have connected an Ethernet cable to the back of the DVR. It is strongly recommended that all settings in the Network panel remain unchanged, unless you know you have a PPPoE connection. If you connect to the internet using a PPPoE service provider: Please ensure the PPPoE selection box is enabled and that your username and password are accurately input into the proper fields. These are not your Zosi View login credentials. It might be a password used to connect to your router given to you by your internet provider or configured yourself. If you do not know if you use PPPoE, leave this setting unchecked. If you connect to the internet WITHOUT using a PPPoE service provider: Ensure the “Obtain an IP Address Automatically” option is checked. Select the “Test” button to determine if you are connected to the internet. If you are successfully connected, it will state “OK”. If you are unable to connect a message will appear stating that you “Cannot Connect To The Network”. 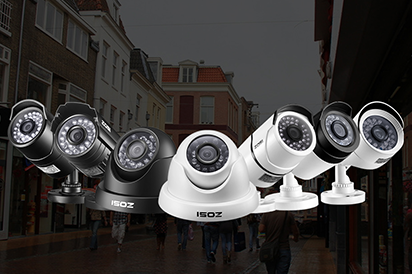 If you have an active firewall, you may need to configure your internet options further to allow your Zosi DVR to transmit video to your mobile device. If you are unsure how to configure firewall settings, consult your router’s user manual or speak directly to the manufacturer for more details. If you are unable to connect on your local WiFi connection, please test the connection using your mobile device’s 4G or LTE network. Depending on your mobile device, you may have restricted access to data. To check your data options, view the Background App Refresh option on Apple devices, and the Data Saver option in the Settings > Connections > Data Usage menu on Android devices. These options are designed to restrict your data usage in order to reduce data charges.